“One of A Kind” Classic Car Conversations w/RM Restorations. Here at Velocity we are incredibly lucky to work with experts from all over the automobile world – whether it’s racing, auctions, history or restorations we are fortunate to have a window into their worlds. We are excited to bring you part one of a Q&A with Don McLellan from RM Restorations. When a classic car is entrusted to RM they are there for every step of a restoration. The team researches the history behind the car and can restore, repair or rebuild everything from the trim to the transmission of the special vehicles that cross their shop floor. 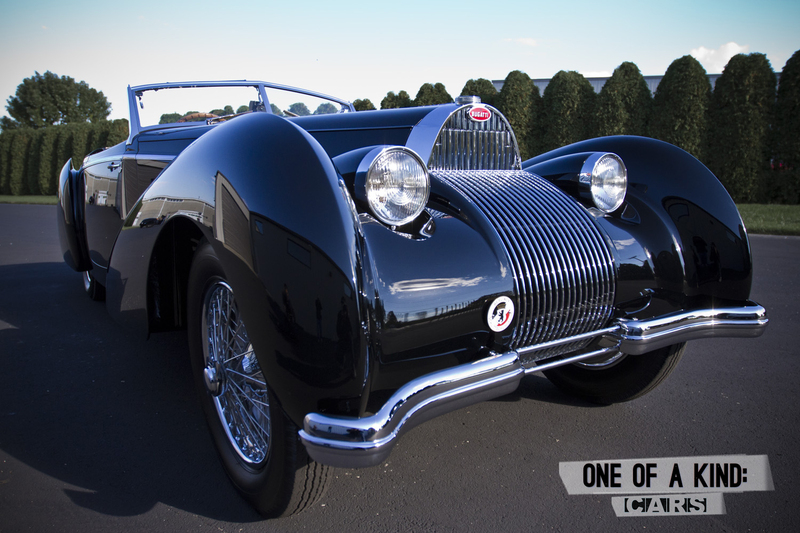 This week we asked Don about some classics that have stood out in his mind – you can read about the 1939 Bugatti Type 57 here and tune in to One of a Kind tonight at 9:30 pm E/P to see it happen. There seem to be two types of classic car fans – those that want to enjoy the car that’s been restored and drive it and those who want museum pieces that remained garaged. Which seems to be the most common? This entry was posted in One of A Kind and tagged 1939 Bugatti Type 57C, Classic car restoration, classic cars, One of a kind, one of a kind cars, Restoration, RM Restoration, super genius, velocity by supergenius. Bookmark the permalink. Copyright © 2019 Super Genius, Inc. All Rights Reserved.